I think he's just waiting his turn to get on the surf board. 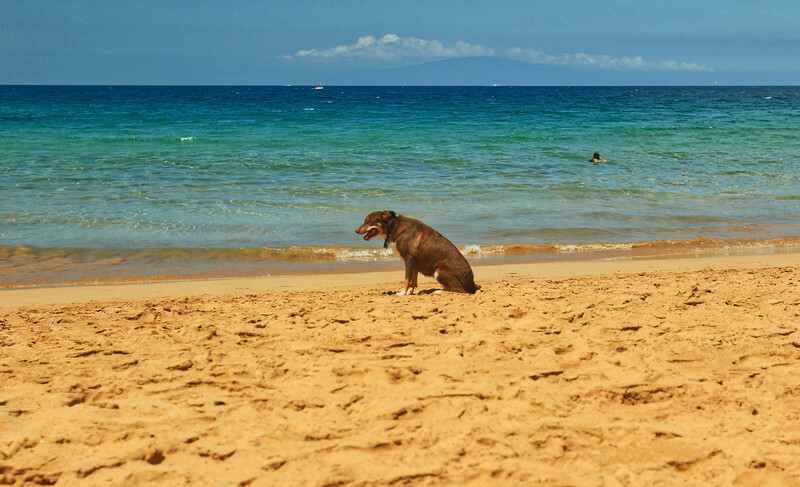 Nice reminder that people aren't the only animals who enjoy a day at the beach. This one might even be into people watching.